Evaluate the system, add Freon if needed, inspect belts and hoses, check for leaks and proper air conditioning operation. To your home, work or anywhere else you need to be! 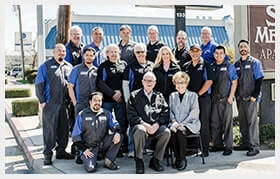 “ The best auto repair shop in town, bar none. They have complete respect for car owners, including women. For more than a century, the staff at Electric Laboratories has specialized in problem solving. From the first electric and gasoline powered automobiles of yesteryear to the domestic and foreign automobiles, trucks and small buses we service today, Electric Laboratories has been the go-to place for customers looking to get repairs done right the first time for more than 100 years. Electric Laboratories service manager, Mike Thibodeaux; and service writers, Tim Ling and Dave Sanchez, have over 80 years combined experience in the industry. These gentlemen put their years of combined experience to use daily in coming up with problem solving measures to get customers back on the road in the most safe and efficient manner possible. 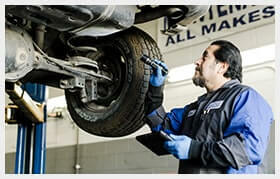 At Electric Laboratories, we still provide the same expert Fresno auto repair work as we did when our doors opened more than a century ago, as well as engine diagnosis; smog and emission work; complete brake work; air conditioning; tire installation; and complete engine and transmission replacement on domestic and foreign automobiles, light trucks and small buses. 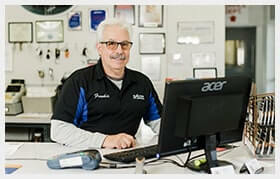 Visit our clean 14-bay facility and meet our staff of ASE (Automotive Service Excellence) Certified Technicians, Auto Parts Specialists and knowledgeable Service Advisors.